About 25 years ago, the GDP's of India and China were about the same. Today, the Chinese economy is about five times the size of India's economy, while the population of both countries is very similar(1.2-1.3 billion). Whatever happened to India during this period? 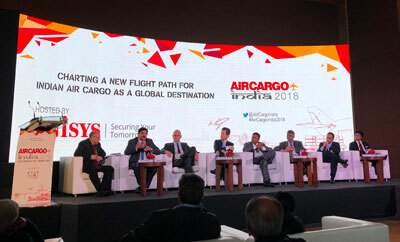 Speaking on the panel on "CHARTING A NEW FLIGHT PATH FOR INDIA AS A GLOBAL DESTINATION" , at AIR CARGO INDIA in Mumbai last month, Dr. Alexis von Hoensbroech, Member, Executive Board and CCO of Lufthansa Cargo summed it up while stating that while India's recent growth rates were impressive, the country still had a long way to go. A heavy bureaucracy and a creaky infrastructure were huge obstacles to India's air cargo growth. In India, cargo is still delivered loose by the forwarder, so airlines or GHA's have to engineer the 'build up' at the airport. To grow the country, India needs to grow the middle class (only 1% of Indians earn more than USD 20,000 a year) and drive the MAKE IN INDIA movement to replace an increasingly expensive China as the factory of the world. Lufthansa, with 65 weekly wide-body flights into India and 10 weekly main deck freighters is in India for the long haul. 2017 was a much better year for Lufthansa Cargo with improved rate levels. As in most European and North American markets, the business case for domestic freighters in India does not exist. Thanks to the introduction of a national GST and the abolition of inter state tax barriers (Octroi), a new era for trucking has emerged and India is now a unified national market. According to Tushar Jani, Chairman of Cargo Service Center and a founder of domestic freighter operator Blue Dart Express Limited, the new GST regime has reduced truck transit times on the North-South Delhi to Chennai freight corridor from 79 to 57 hours. Furthermore, India has one of the lowest ground transportation costs in the world with average rates of Rs.18-20 per kilo and 4 day delivery across most of the country. 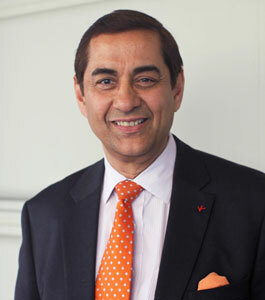 India is aware of the problems for air freight, and keen to find solutions. 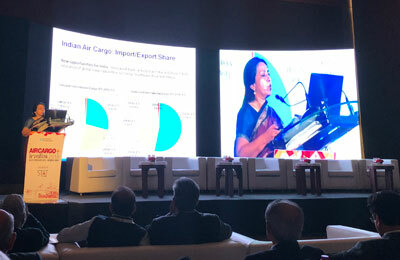 Ms. Vandana Aggarwal, Economic Advisor, Ministry of Civil Aviation, Government of India, who addressed the conference and actively participated in two days of deliberations exemplified the strong resolve of the Indian government to improve the lot of the air cargo sector. According to her, for air cargo, slow and steady steps do not work, so a 'force multiplier' is needed. Her 7 point action plan included the creation of transshipment hubs in India, Regional Freight Connectivity, Regional Aviation Skilling, Modular Development of an e-Cargo platform, e-Contracting/Booking Platforms with access to GST/Payment Gateways, e-Compliances where all participating agencies provide information or approvals digitally and a grievance portal addressed on a real time basis. Furthermore, her administration would like to bring down logistics costs from 14% to 9% of GDP, rank states by Domestic Logistics Performance by 2018, improve India's ranking in the World Bank LPI from 35 to 15 by 2020, create a paperless regulatory environment, reduce regulatory time to less than 2 days for air, and declare logistics as an industry. 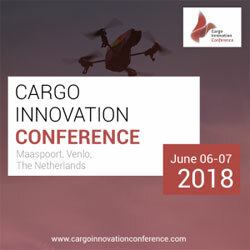 Speaking on the panel on "DIGITALIZATION: KEEPING PACE WITH THE EVOLVING PARADIGMS IN THE AIRFREIGHT INDUSTRY" , Amar More, CEO of Kale Logistics Solutions regretted that the logistics industry has not take digitalization seriously, and while there has been incremental innovation, there has been no disruptive innovation. Ramesh Mamidala, CEO of Celebi Delhi Cargo Terminal Management talked about the fragmented interface at airports, and the need for a single point of data entry. Other panelists spoke about how cargo community system could help stakeholders talk to each other. 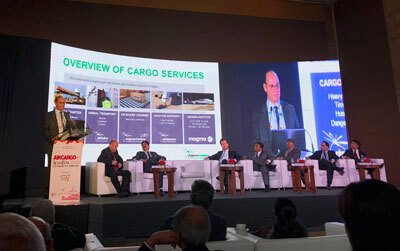 Furthermore, connecting air cargo communities through an 'air cargo digital corridor' as was the case between India and the Netherlands, offers complete transparency for all shipments between those two countries. Amar More proposed a Union of Standards on a global basis. While India's air cargo trajectory has still not taken off, there are several bright spots around the country. For one, India is on track to become the biggest exporter of generic drugs in the world, and is also growing its share of other healthcare products. According to Ranga Chandrashekhar, Deputy Drugs Controller of India's drug regulator CDSCO, to monitor quality to required standards , drugs can be imported or exported only through notified ports where offices are open 24/7 and an e-governance regime was launched in 2015. Manoj Singh, Senior Vice President & Head of Cargo of Mumbai International Airport spoke about how Mumbai will become the first airport in India to be CEIV certified with 350,000 tons of capacity for pharma, and 21% pharma growth. Similarly, Hyderabad's GVK run airport has also shown a similar 21% growth in pharma products. India's future air cargo story could well be written by pharma exporters with pharma commanding 76% of the value of Indian air exports with only 9% of the weight. If a small country like Brussels can have 29 out of the 30 global players in pharma in its ecosystem and 40 billion Euros worth of pharma exports, there is no reason why India cannot join the club. All of this while global players like Emirates SkyCargo are finessing 'lane risk assessments for pharma' and increasing their usage of cool dollies at all their pharma destinations to cater to a booming pharma industry. AIR CARGO INDIA is both a spectacular event and a place to network with the air cargo leaders of the fastest growing market on earth. Each edition of this event is better than the previous one and I have no doubt that conferences and expositions such as these will continue to reflect the global aspirations of a growing economy. I wish the STAT TIMES Group every success. We are now off to Dallas, where IATA's World Cargo Symposium commences on March 12th. This move marks a new era for Delta Cargo and the more than 500 million kilograms of cargo it flies annually. The technology will replace manual tracking for all shipping containers, called ULDs, which move cargo shipments, baggage and mail globally. Delta recently introduced auto check-in for Fly Delta app users and started testing its biometric boarding pass at DCA and its redesigned E-Gate experience in Atlanta. Over the past year, Delta has led the industry on a number of other innovative customer solutions like biometric-based self-service bag drop, RFID baggage handling, real-time bag tracking via the Fly Delta mobile app, more efficient and high tech automated screening lanes and a groundbreaking flight deck app that helps Delta pilots avoid turbulence for a more comfortable flight. Delta’s partnership with CLEAR already gives exclusive rates to U.S.-based SkyMiles Members for a faster way through security lines at more than 20 airports nationwide. ACL Airshop and CORE Transport Technologies: Advancing Bluetooth® Tracking for Air Cargo Toward a Giant "Internet of Things"
ACL Airshop LLC of the US and CORE Transport Technologies, Inc. of New Zealand continue rolling out their innovative, field-proven Bluetooth® enabled logistics technology to the global air cargo industry. Automated tracking of Unit Load Devices (ULD's) for air cargo gives carriers and their shipping customers real-time visibility and new efficiencies. The inventively adapted and patented technology replaces manual tracking for ULDs, which move cargo shipments, baggage and mail. Air carriers are now adopting this innovative, proven technology advancement for better air cargo efficiencies. The two companies concluded extensive field tests with international air carriers and an array of multiple ULDs, with 100% tracking reliability. Regulatory aspects such as compliance with FCC and FAA rules have been addressed, plus rigorous adherence to RTCA-DO-160 ("Environmental Conditions and Test Procedures for Airborne Equipment"). The big data and predictive analytics of this program are managed in The Cloud, to military-equivalent security standards. This cutting-edge patented tracking technology, when combined with ACL Airshop's international Operations Center and CORE's Cloud-based analytics, gives a new competitive edge for airlines and their cargo customers. "We listened to our customers, and these technical enhancements are the result," said Wes Tucker, Exec. VP of ACL Airshop. "Now we are rolling it out. Airlines will be able to track the actual cargo loads by the container and pallet, with real-time 'dot on the map' monitoring and status reports." This is coupled as a significant technical enhancement to ACL's already robust ULD Control and bar-coding systems used by some of its customers. Airlines who have performed extensive Due Diligence on the CORE Bluetooth tracking system call it "best in class." "This is the ultimate solution for ULD Equipment tracking available today," said Ian Craig, Managing Director of CORE. "This is a big step forward for numerous airlines and cargo carriers. Our COREInsight Tracking service tracks cargo assets in real time. We know this is a low-cost logistics enhancement that remarkably improves how carriers manage their ULD fleet, saving money long-term, and yielding better service to the ultimate end-customers. ACL Airshop and CORE customers will always know where their ULD's are located and when they are being utilized." During the past several years of testing and implementation, airlines have said they want improved tracking and immediate transparency for ULD shipments. ACL Airshop and CORE are first-to-market with these responsive innovations in the air cargo segment. Ian Craig predicts: "2018 will be the breakout year for Bluetooth, the year that this disruptive technology changes air cargo—again. We are enabling an aviation logistics revolution, just as the air waybill revolutionized air cargo almost 60 years ago." 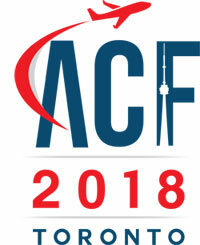 Ultimately, as more airlines adopt this technology innovation, as many thousands of Bluetooth tags are attached to ULDs, and as more and more readers are installed at airport cargo centers and various handling facilities, a giant "Internet of Things" will be linked across the world's air transport industry, benefitting all. The new tracking system enables cargo carriers to produce electronic Unit Control Receipts ("UCR's"), an IATA requirement when ULDs are transferred between parties, thus yielding a fully automated solution for shippers' transactions. ACL Airshop, with main offices in South Carolina and Amsterdam, is a worldwide provider of custom ULD solutions to over 200 air carriers and cargo clients, with services, repairs, and leasing operations at 46 of the world's Top 50 air cargo hub airports, substantial manufacturing and supply chain capabilities for cargo control products, and 35 years of experience in air cargo. CORE Transport Technologies is an agile software developer, focused for over 10 years on services that provide significant improvement to the transportation process in multiple industries, with offices in New Zealand, Hong Kong, and Orlando FL. ACL Airshop is wholly owned by Ranger Airshop Holdings, Inc., the latest consolidation venture by Ranger Aerospace, with multiple institutional co-investors, and with substantial ownership by senior management. Steve Townes, Chairman of ACL Airshop and CEO/Founder of Ranger Aerospace, said: "A giant Internet of Things for the global air cargo industry. Let that sink in. This is a high-speed effort to create positive change for our airlines customers." The International Software Testing Qualifications Board's Foundation Level Syllabus forms the basis for the International Software Testing Qualification and is aimed at gaining understanding of software testing. Recently Kale Logistics’ testing team cleared this globally recognised certification test and got the ISTQB Foundation Level Certification. Kale Logistics Solutions is a trusted IT Logistics partner for Fortune 500 companies, oﬀering a comprehensive suite of IT solutions for the logistics domain. The company has always regarded employee learning and development to be the core strength of their successful operations while keeping focus on customer delight. Taking this belief forward, the globally recognized International Software Testing Qualifications Board (ISTQB) certification exam was organized by the company for its quality assurance team. It was an incredibly proud moment for Kale Logistics when the team cleared the exam with flying colors and were awarded the certificates. With this certification, the company has once again proved that employee reinforcement is central to the company’s vision in establishing a conducive workplace. The certification is not just a value addition for employees, but also improved the company standing as a global organization. At Kale, customer satisfaction is of paramount importance. With this certification, the company expects to achieve competency in their operations, augment the quality of deliverables and drive increased customer delight along with complying with subscribed to a Code of Ethics for quality. Qatar Airways Cargo’s pharma solution now includes CSafe’s newest RAP container. The RAP unit is perfectly suited for large volume pharma shipments and has been approved by the cargo carrier’s team of pharma specialists for use across its expanding pharma network. The CSafe RAP utilises innovative heating and compressor-driven cooling technologies together with advanced ThermoCor® VIP insulation to eliminate the payload risks associated with extreme ambient temperature conditions and long-duration shipments. It is the only Federal Aviation Administration and European Aviation Safety Agency approved active compressor-driven container permitted in both the upper deck and lower deck cargo sections of commercial aircraft. The CSafe RAP has unmatched operational capabilities, maintaining constant payload temperatures even at extreme ambient temperatures from -30°C to +54°C. It is not only built around state-of-the art technologies, but it also offers the largest RAP capacity in the industry with a max payload volume of 6.68m 3 , thereby easily accommodating up to four standard US-pallets or five standard Euro-pallets. The CSafe RAP has an extended battery life well over 100 hours, which outperforms competitive active systems. Today, Qatar Airways Cargo’s pharma network spans more than 70 destinations around the world and helps meet the growing air freight requirements in the pharmaceutical industry where time and temperature management are of paramount importance. The cargo carrier ensures a complete quality audit and exacting training modules at each of its pharma stations. In addition to the CSafe range of containers, the cargo carrier’s customers can also choose from a range of active containers such as Envirotainer, DoKaSch and va-Q-tec to transport their pharmaceuticals across the cargo carrier’s extensive global network. 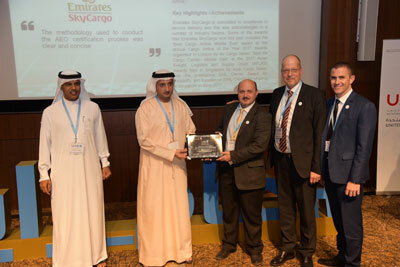 Emirates SkyCargo is the world’s largest international cargo airline measured in terms of Freight Tonne Kilometres operating a modern fleet of over 260 widebody aircraft including 14 freighters- 3 Boeing 777-Fs and one Boeing 747-F. The air cargo carrier takes a customer centric approach combining innovation and flexibility to constantly evolve its product and service offerings. 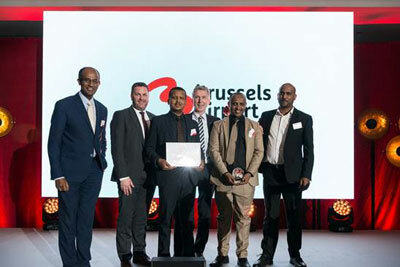 Ethiopian Airlines, the largest cargo operator in Africa, has once again won the Brussels Airport Aviation Award for the 2nd time in a row, in the category of cargo performance. Ato Fitsum Abady, MD Ethiopian Cargo & Logistics Services with Ethiopian Team in Belgium received the Award at a colourful ceremony held at the Sheraton Brussels Airport Hotel on February 26, 2018. Ethiopian Cargo & Logistics Services performed exceptionally last year in the total amount of cargo flown, cargo per flight and growth in cargo tonnage. This is the 3rd prestigious award Ethiopian Cargo & Logistics services received in less than a month’s time next to China- Guangzhou ‘Export & Import Cargo Transportation Award’ received on February 7, 2018 and India’s “Fastest growing International cargo airline of the year 2018” on February 21, 2018.